I have been working out for the last five years at a small, outdated gym near my home. It has the bare basics: old cardio machines, group exercise classes, ’90’s style spinning and a basement weight room without windows. Nothing to write (er, blog) home about. So imagine my delight at an invitation to a month’s review at the new and state of the art Pike & Rose Sport&Health in North Bethesda. This brand new Sport&Health gym is gorgeous. Swanky yet warm. All of the equipment is top-notch and they have everything. The cardio machine selection blew me away. The group exercise schedule in the four classrooms was packed with options. They even have a Pilates reformer studio, as well as a Namaste studio that has the vibe of a boutique yoga or barre shop. 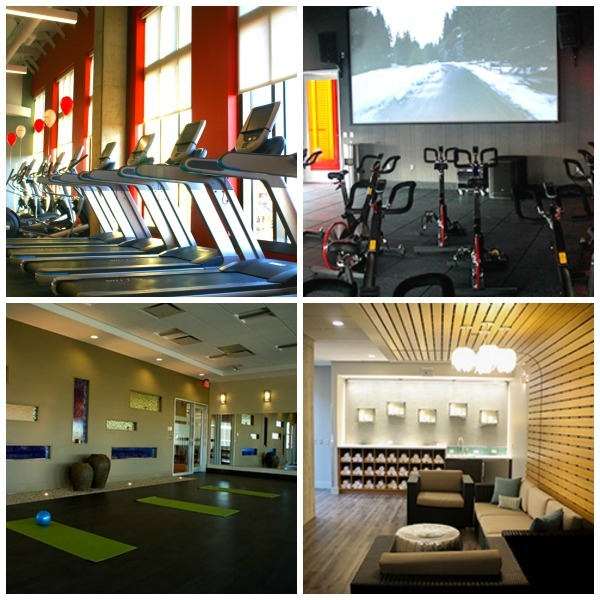 The spin classes have a projection screen and all of the energy of the smaller, cult-favorite city spin studios. The weight room, instead of relegated to a stinky boys’ club basement, is on the top floor, flooded with light from floor-to-ceiling windows. 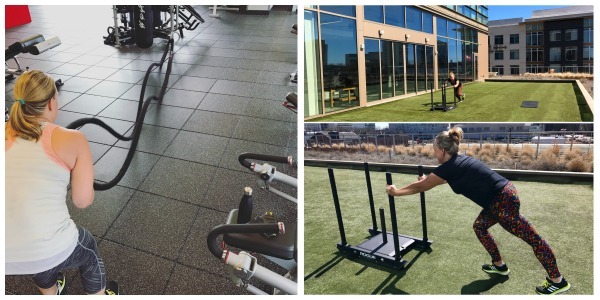 And this top floor has an outdoor turf balcony for outdoor workouts in the sun, overlooking Pike&Rose and the town! This gorgeous space is where I spent four glorious personal training sessions with Pike & Rose Sport&Health’s master trainer, Peter Kwon. (Follow his awesome on Instagram at @pkwonn.) After working with several trainers over the years, I was skeptical. Some were flakey. Some were critical of my post-kids bod. Some were just phoning it in. Peter and the Sport&Health personal training team were none of those. Peter was committed to helping me get stronger and achieve better fitness and heath. I had the pleasure of four action-packed personal training sessions that were all completely different, and pushed me to my limit without injury or undue pressure. I learned so much about how to navigate the weight room and use the entire gym, rather than simply the cardio machines and classes. Each week I worked out hard for an entire hour, guided by an elite training expert. There was no way I would ever have done the amount of sets or seen the results I achieved in one month on my own. We scanned my body composition before we started and again at the end of the month. Although I did not work out as hard other times in the week as I did when I was with Peter, I still lost fat, gained muscle and lost weight. I improved my strength and endurance. And maybe most importantly, I always looked forward to working out with Peter because he was so encouraging, positive and just an all-around amazing person. 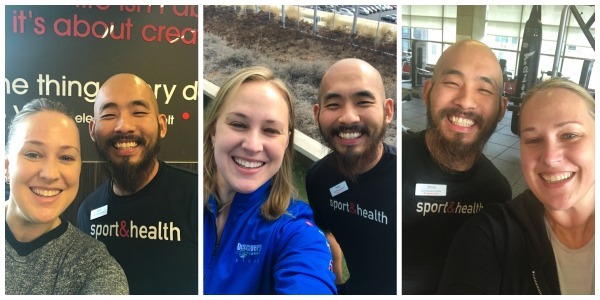 Check out these smiles – I NEVER smile like this at the gym! 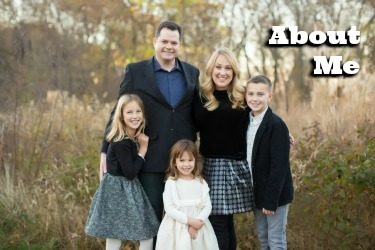 Peter is a husband and dad himself of two toddler boys, so he completely got my goals, stresses and fears of working out, even though he himself is a competitive weight lifter and pro athlete! 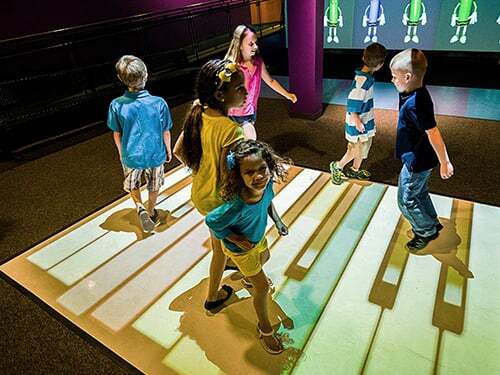 And Pike&Rose Sport&Health also gets busy parents, as they offer during-your-workout parking (2.5 hours free) and a beautiful and super fun Kidz Klub that looks like a constant party! I did not need to use the Kidz Klub, but I popped in and the childcare staff I met on-site were friendly and engaged with the children. My friend Sandie Angulo Chen, editor of The DC Moms, also had an awesome experience with the gym and trainers at Pike & Rose Sport&Health! 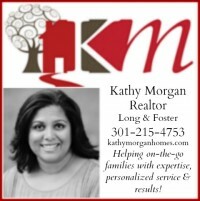 Although I received the month’s membership and four personal training sessions for review here on A Parent in Silver Spring. I am seriously considering joining this gym as a paying member. I would also love to continue with Peter as my personal trainer. 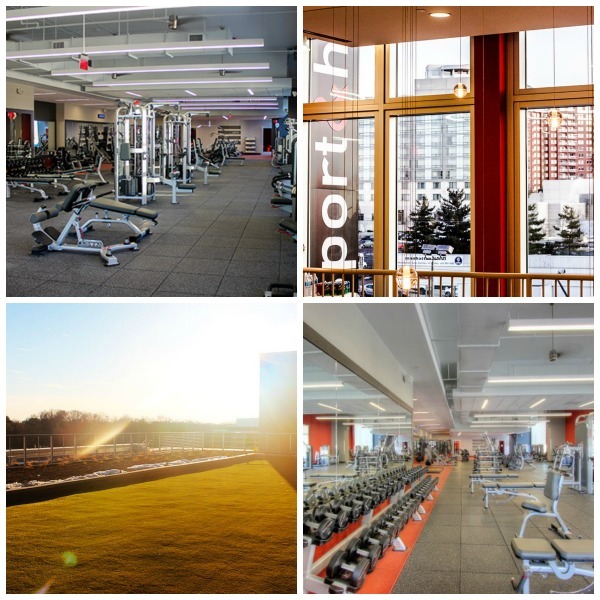 The gorgeous, light-filled facility and completely stocked and brand-new amenities have me hooked. The personal training I know would be a crucial move in truly changing my body, strength and health. 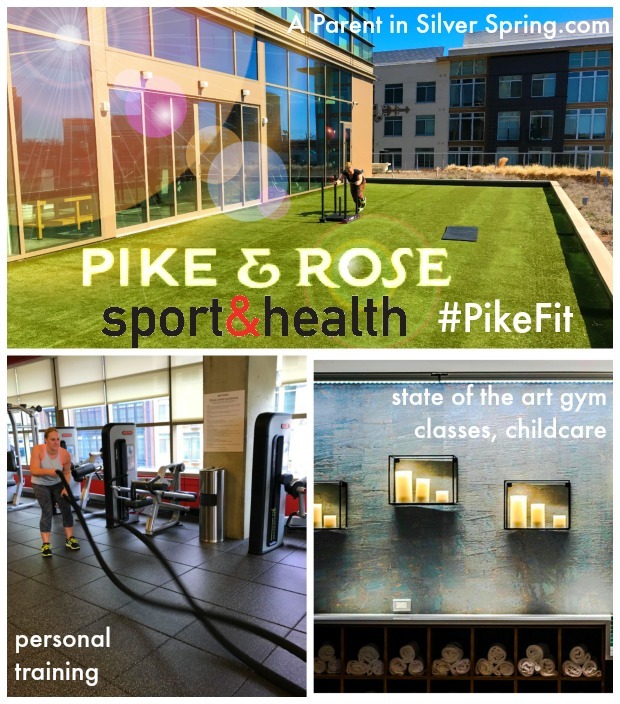 I enthusiastically recommend Pike & Rose Sport&Health gym and personal training.